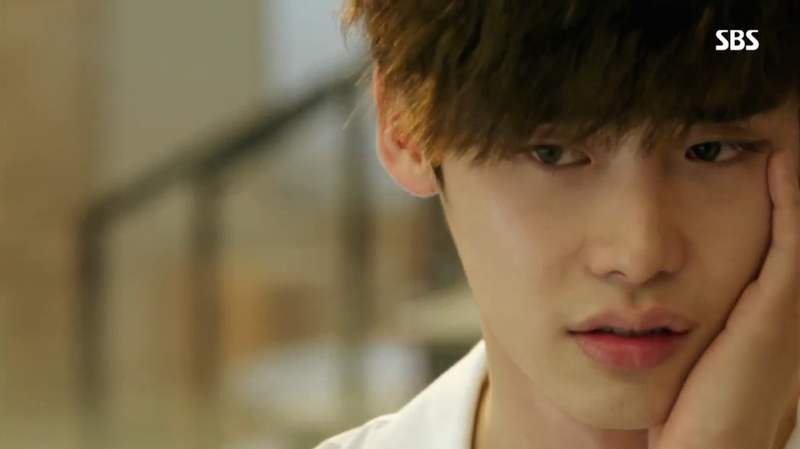 The focus of episode 7 shifts back to Hoon, featuring great character development alongside dramatic medical rescues. 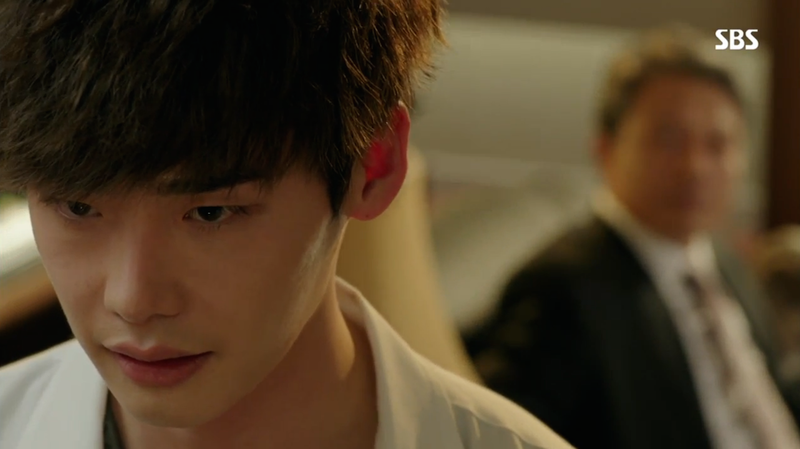 Lee Jong Suk is doing a great job portraying Hoon’s internal struggle and I look forward to seeing his character continue to take center stage. 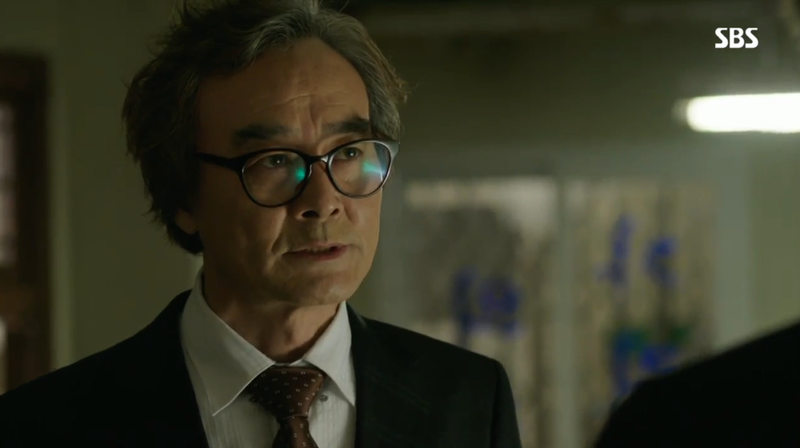 We’re still largely in the dark about the North Korean plot, but for now I’m content to watch Hoon save lives, atone for his past sins, and reluctantly compete to operate on a man he hates. 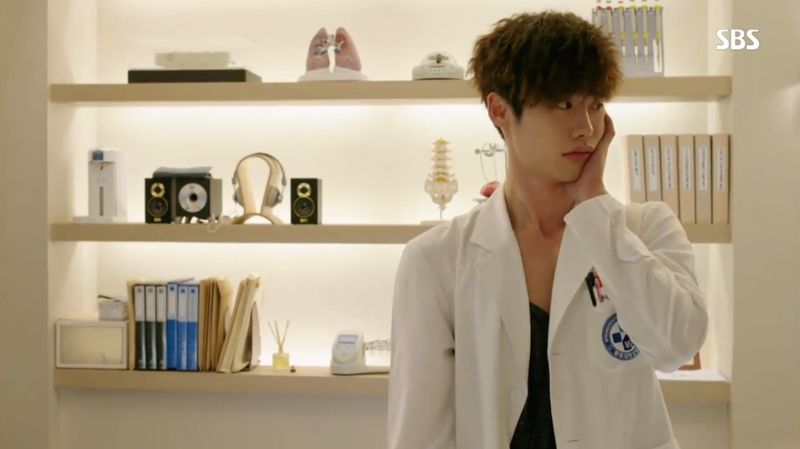 While the heartbeat test seems to have failed, Hoon and Doctor Moon continue to search for answers about Seung Hee’s relationship to Jae Hee. They reason that if she’s actually a spy, she would have faked her medical records a long time ago. Doctor Moon arranges for Seung Hee to undergo another physical exam, thinking this will guarantee them results. 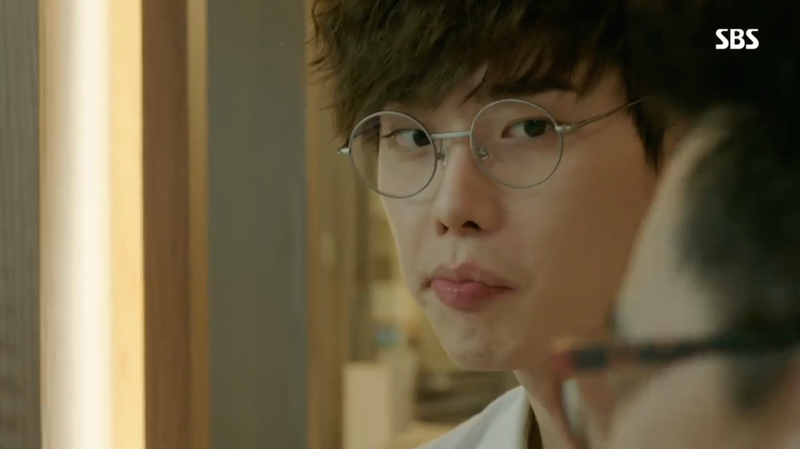 After claiming that Seung Hee’s heartbeat is not Jae Hee’s, Hoon starts teasing Soo Hyun about his theory that a fated couple will have the same heartbeat. Hoon pulls Soo Hyun in for a hug, jokingly testing out his theory. It might be a joke, but Soo Hyun is clearly affected by this gesture. Unfortunately, Hoon receives another slap for his efforts. 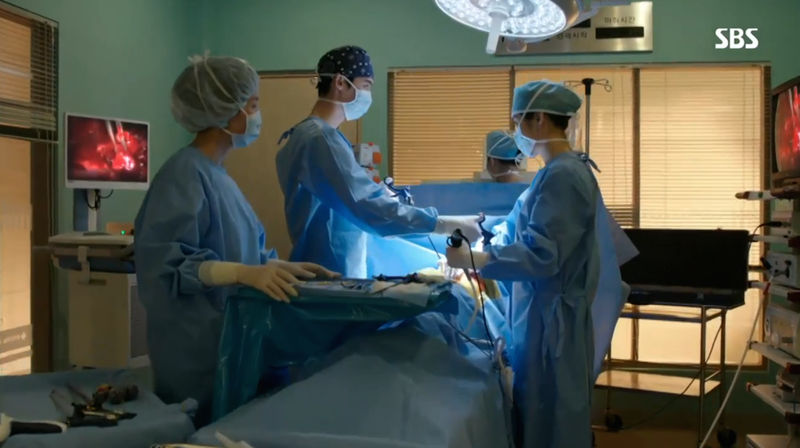 Hoon gets called into the emergency room and must perform surgery on a pregnant woman. He even uses is super awesome diagnosing skills to figure out the problem faster than anyone else. Hoon works alongside Soo Hyun and Seung Hee to save the lives of the woman and her twins. I wonder if this a precursor for Hoon’s eventual surgery team? Needless to say, Hoon was rather pleased with the outcome. 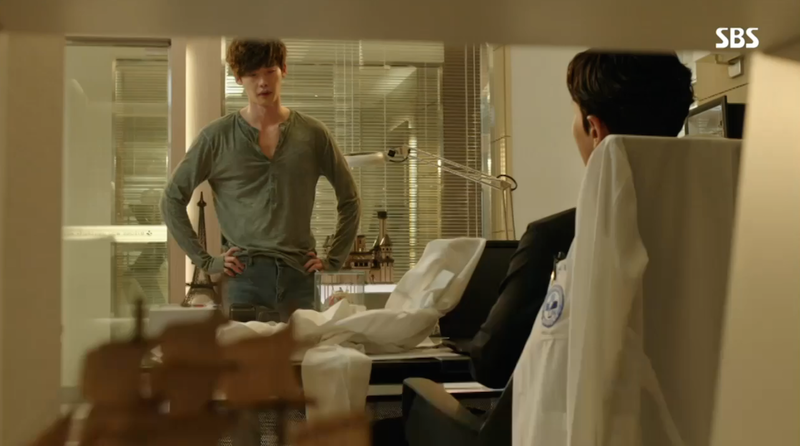 Director Choi shows up at Hoon’s hospital with information for Hoon about why his father was sent to North Korea. It turns out Hoon’s father initiated a lawsuit against Director Choi for a deadly mistake in the operating room. 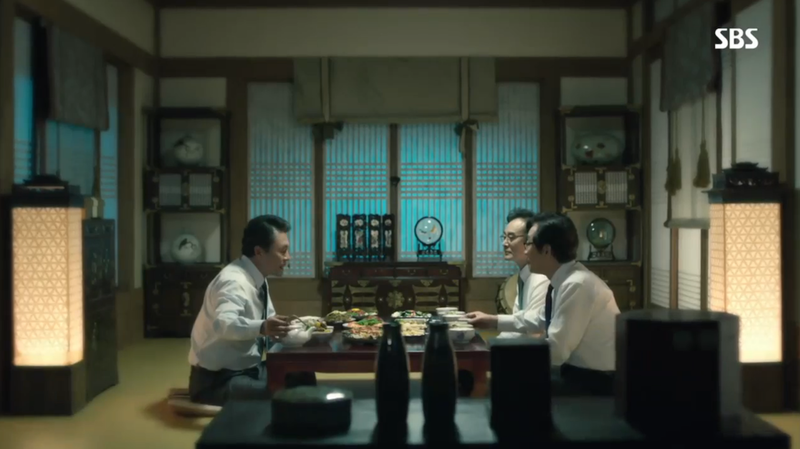 Neither Director Choi or President Oh were pleased with the situation, and the now Prime Minister Jang offered a simple solution: send Hoon’s father to operate on Kim Il Sung’s heart. Without the plaintiff, the case would disappear. 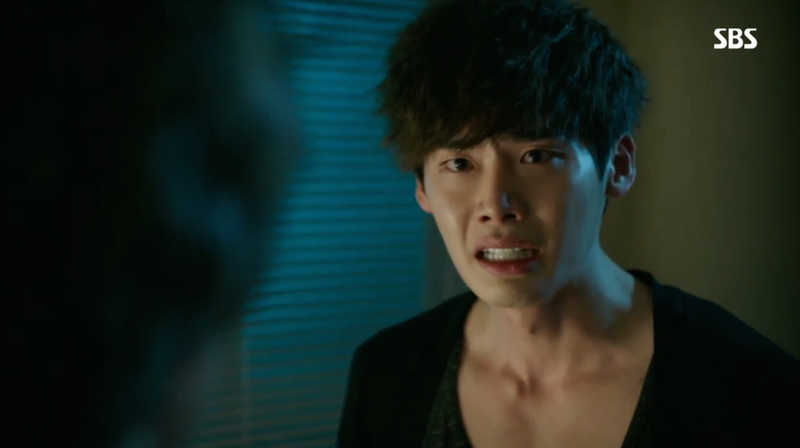 In response to Director Choi’s revelation, Hoon can’t help but express his anger. 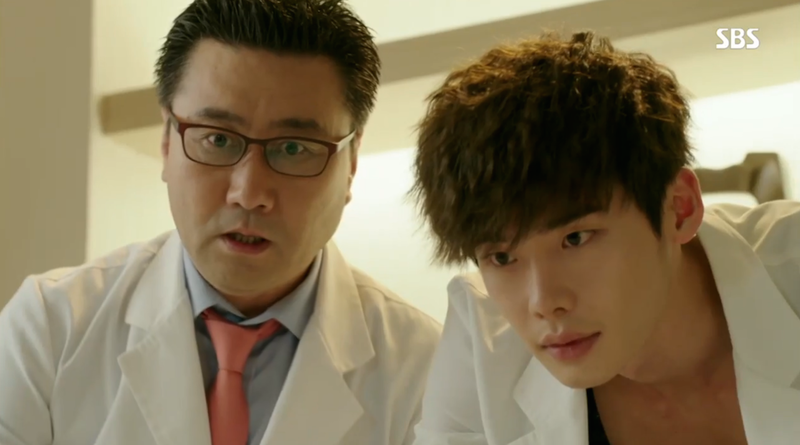 The Director mistakenly provokes Hoon, implying that the situation turned out alright since Hoon was still raised to be a doctor. A doctor? Hoon denies that he ever became a doctor. The North only turned him into a crazy dog that killed. Doctors are meant to save lives and he did just the opposite while performing atrocious acts. 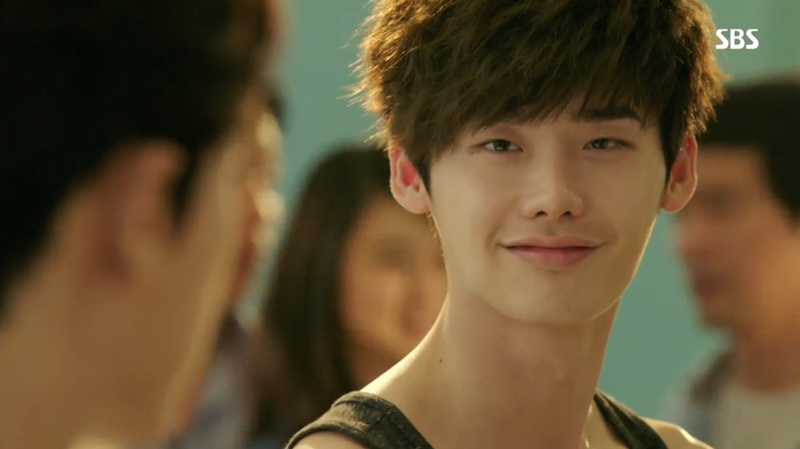 This was a fabulous scene with some fantastic acting by Lee Jong Suk. 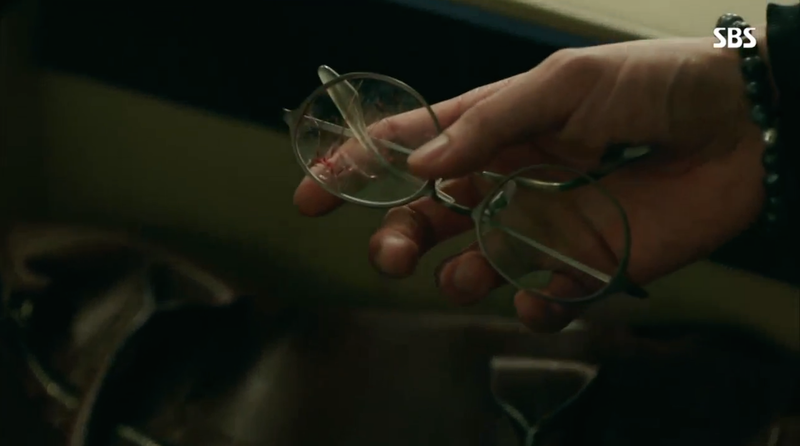 Before leaving, Director Choi hands over the glasses and bag that belonged to Hoon’s father. He wasn’t able to obtain his body, but he was able to retrieve these items from North Korea. 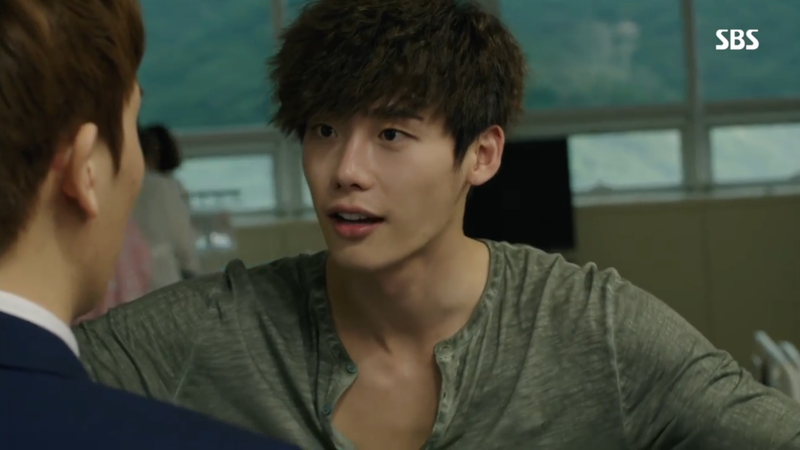 Hoon comes to offer his thanks, but he warns the Director to stop looking for Jae Hee. It turns out a boy was also orphaned due to Director Choi’s mistake, and the whereabouts of this child remain unknown. Soo Hyun tests out Hoon’s theory that fated lovers have the same heartbeat with Jae Joon. He’s surprised by her suddent affection, but he doesn’t push her away. Soo Hyun’s father is ready for Jae Joon and Soo Hyun to get married and tells them as much over dinner. 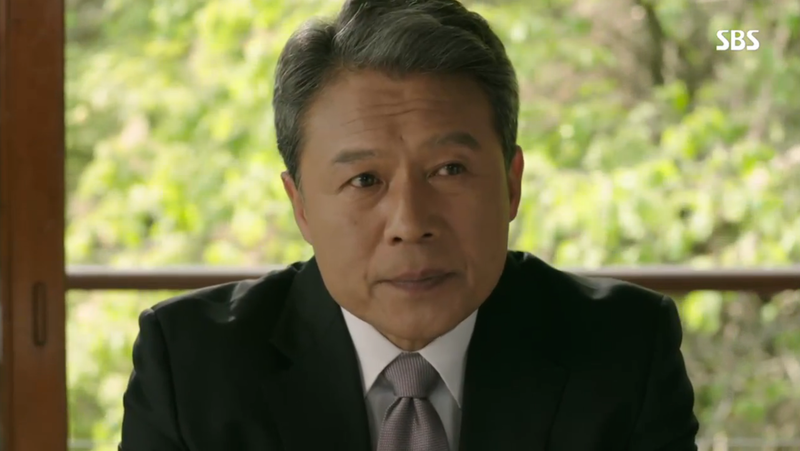 Soo Hyun may be asking for more time, but her father has already asked Jae Joon to take responsibility for both Soo Hyun and the hospital. There are many little hints in this episode, including glances and hand clenching, that point to Soo Hyun’s second thoughts. 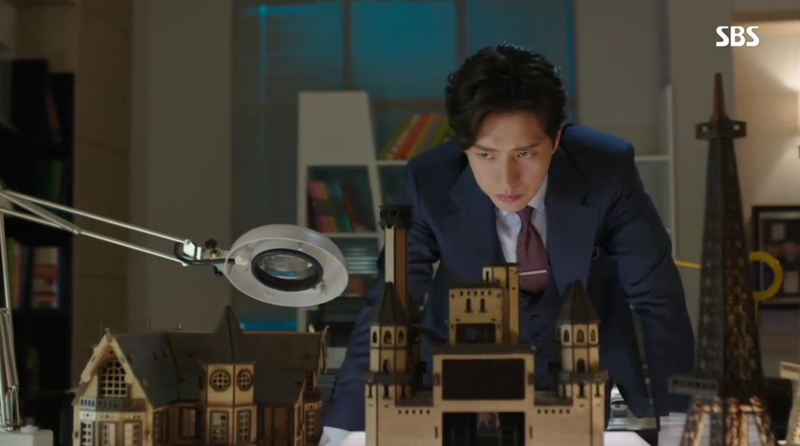 Regardless, Jae Joon is ready and anxious to take control of the castle. The Prime Minister officially announces there will be a competition to determine the hospital and team that will perform his heart surgery. 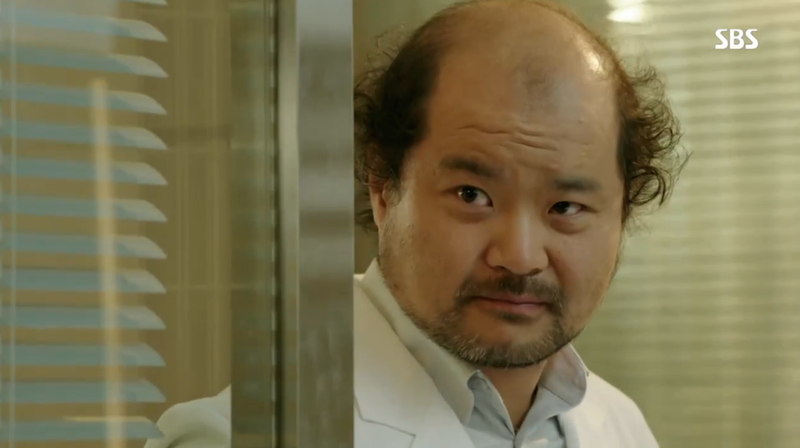 Jae Joon and Hoon are naturally pitted against each other, however, Hoon literally throws in his coat upon finding out that the Prime Minister is the patient. He doesn’t want to have anything to do with this silly competition. Jae Joon can “win”, Hoon really doesn’t care. 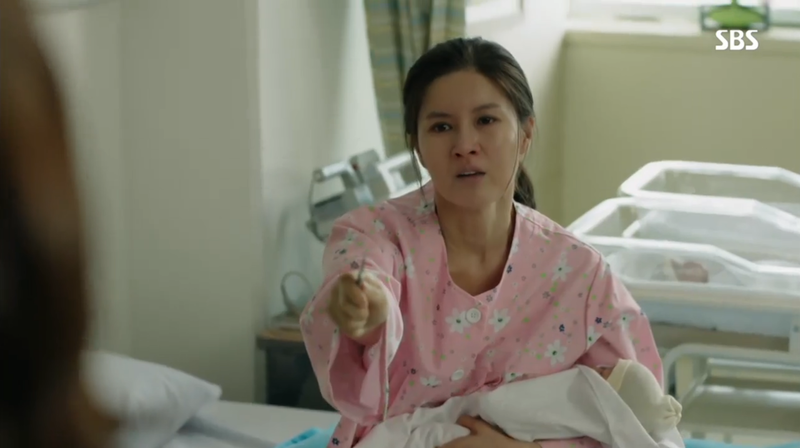 The mother Hoon helped save earlier is now threatening the staff with a scalpel. It turns out her babies have a heart defeat that requires a very expensive surgery. Hoon steps in and promises to preform it, no matter the cost. 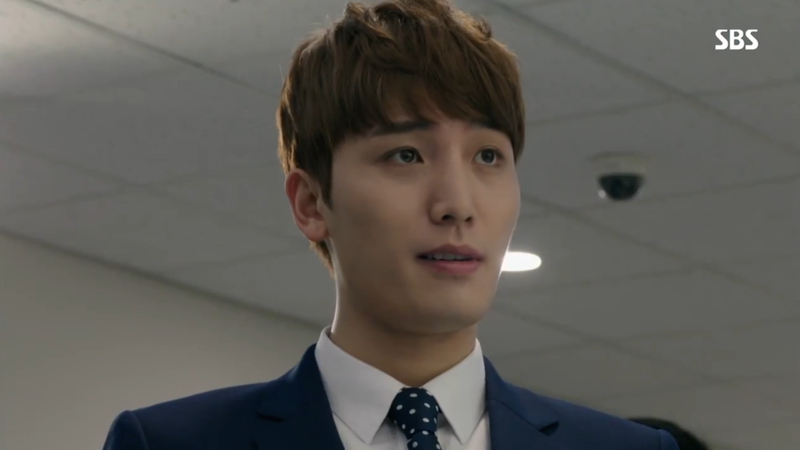 Unfortunately, Soo Hyun’s pompous brother has a very different opinion. While they argue, one of the babies stops breathing. Hoon rushes in to save his life, performing CPR on the infant. Soo Hyun also does a great job blocking her half-brother from entering. Great news, Hoon’s efforts are not wasted. The baby is breathing again! Following this incident, Hoon rushes back to retrieve his white coat. He comes face to face with the Prime Minister and announces that he will compete, but under one important condition. He declares that all of the surgeries they perform will be at the hospital’s expense. He will not have any of his patients pay to be part of this competition. Hoon interprets their silence as agreement. 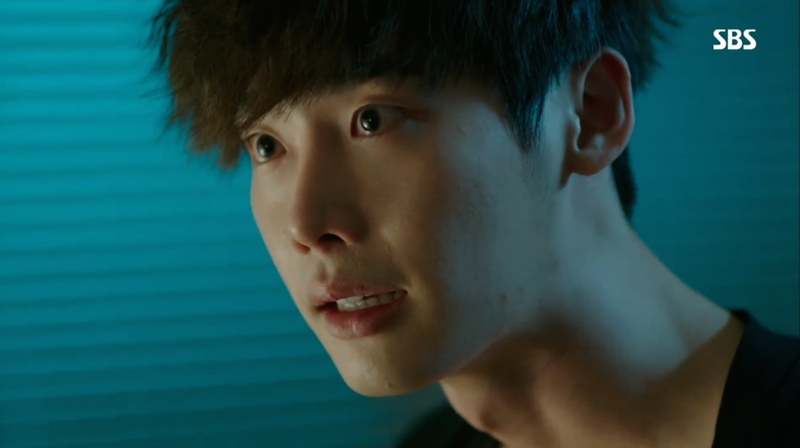 This was a strong episode that refreshingly focused almost entirely on Hoon. I was glad to see him back in in the spotlight. His character’s internal struggle masked in a bright exterior is highly compelling. I especially liked his emotional outburst this episode that reveled his ongoing conflict with his past actions in North Korea. 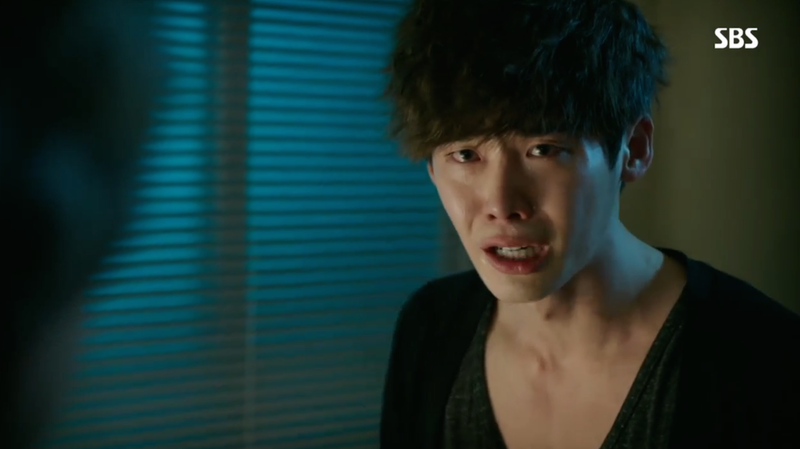 Lee Jong Suk is doing a great job capturing Hoon’s personality and emotions. So, was it Jae Hee’s heartbeat? Hoon outwardly denies that Jae Hee and Seung Hee are the same person, but I’m inclined to think Hoon is already sure of the truth. 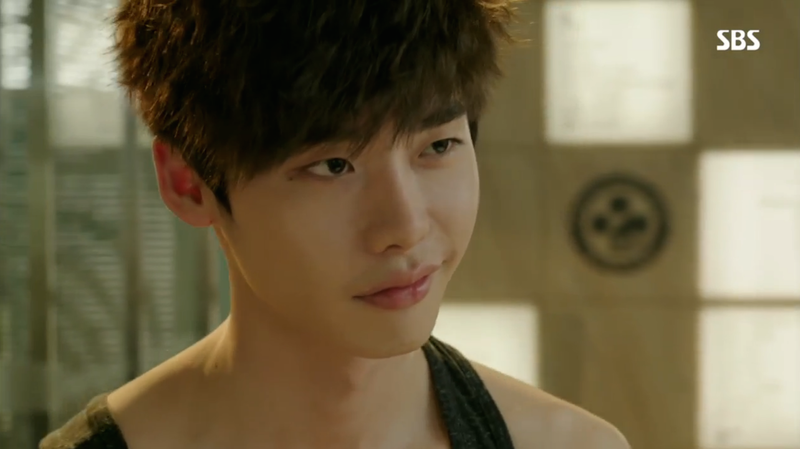 His little glances with Jae Hee hint that more is going on inside his head. What do you think Hoon is thinking now? I liked the balance of this episode. 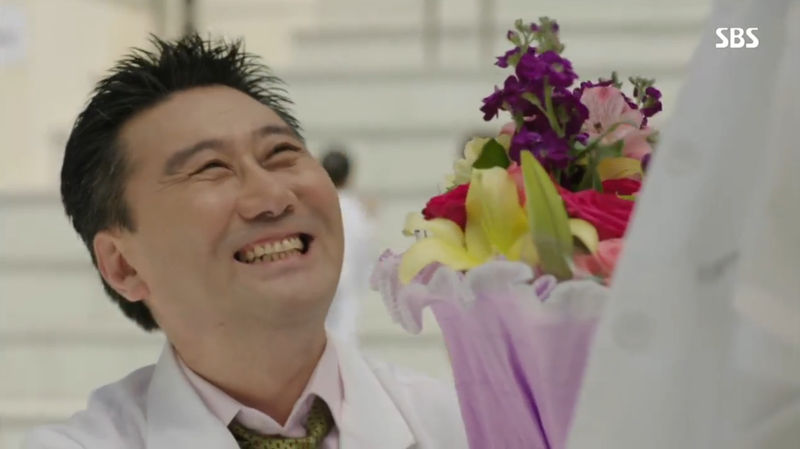 The greater medical focus was refreshing after the last few episodes of spy drama. I also really appreciated Doctor Moon’s comic relief. His poor nose keeps getting beat up! I continue to like the possible couple of Hoon and Soo Hyun. I think they have potential, but I don’t think the show will, or even needs to, focus solely on romance. There are a lot of genres and plot lines mixed into this show and I’m interested to see how they all get integrated together. What was your favorite part of this episode? Do you like the current direction of the show? I’m sti taptappae-ing on what this ridiculous plot maybe as the twists are becoming unbearable. Who knows what will happen when they learn they are united by a common enemy. I’d love to see them working together, but I’m worried Jae Joon’s motives may be too dark for Hoon. We’ll have to wait and see how this craziness plays out! The moment he saved the baby was my favorite of this episode. That scene was really touching! I love when we get to see Hoon in his doctor mode where he is 100% committed to saving lives. Thanks for reading!